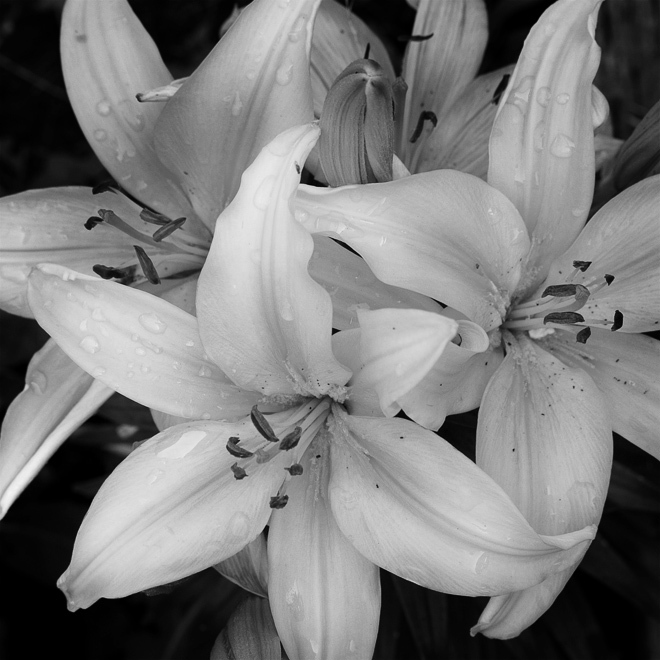 These flowers are a light salmon colour but I thought they looked more interesting in black and white. Taken with a 60mm macro lens. Some curves and level adjustments.